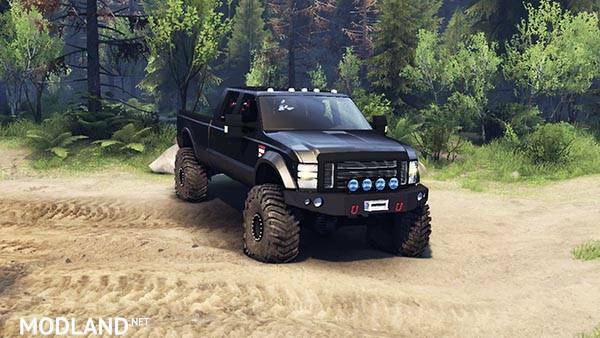 Ford F-350 Super Duty 6.8 2008 v 0.1.0 black for Spintires 2014. Large-heavy pickup with increased load capacity. - model is able to transport the original shipment of the game as medium-sized logs.